Stonewall Sporthorses | What is a Stonewall Sporthorse? Home > What is a Stonewall Sporthorse? 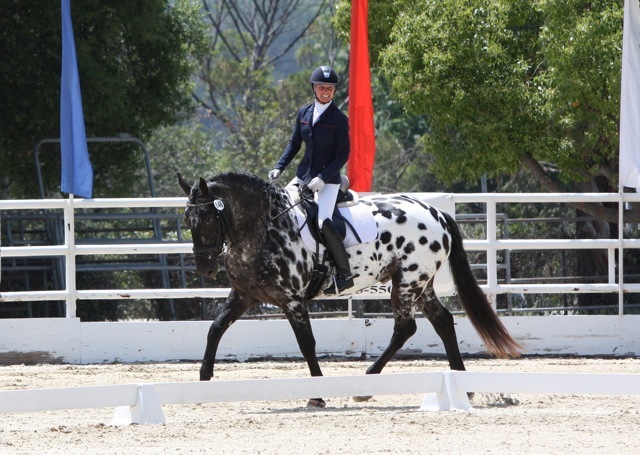 The Stonewall Sporthorse is a unique American warmblood developed by International Champion horseman and World Champion breeder, Michael Muir at his Stonewall Stud. 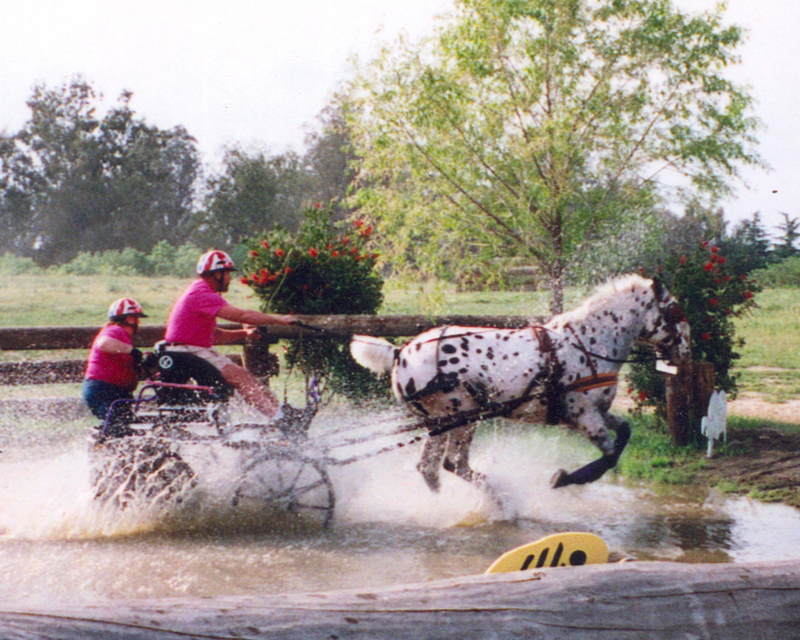 His horses have established world sales records at auction, earned National Grand Championships in the United States, Canada, Australia and New Zealand, set world records racing (as well as setting sire and produce records) earned national titles in jumping and performance, and qualified seven times to represent the United States in World Championship carriage driving competitions in Great Britain, France, Austria Germany and Hungary. Over the course of his life, Muir has been an avid trainer and exhibitor, but has found his greatest satisfaction and success as a renowned breeder of champion horses. Today, Michael serves as the Founder and Director of Access Adventure, headquartered at the Solano Land Trust’s historic Rush Ranch. The Stonewall Sporthorses seen at Rush Ranch today support the work of Access Adventure, enriching the lives of people with disabilities and other underserved members of our community by providing outdoor recreation, open space access, education and therapy through a working partnership with horses. Many of today’s Stonewall Sporthorses descend from generations in a careful and far-sighted breeding program that began in the 1960’s. Although some are noted for their colorful coat patterns, others are simply black, or occasionally another solid color. The qualities they are consistently bred for, and tested at the highest levels of competition, are soundness, trainability, courage, and stamina. They are not to be confused with Appaloosas. 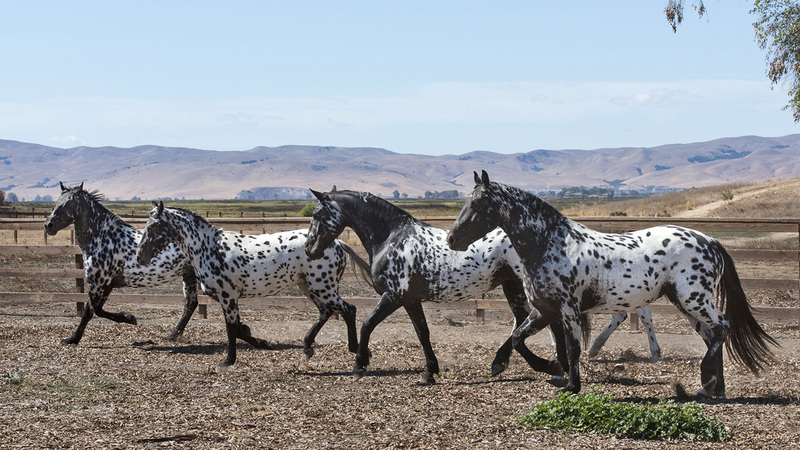 Although some have a small percentage of Appaloosa breeding, others have none, owing their colorful leopard coats to the Danish Knabstrupper breed. Many young Stonewall Sporthorses carry imported Friesian blood. 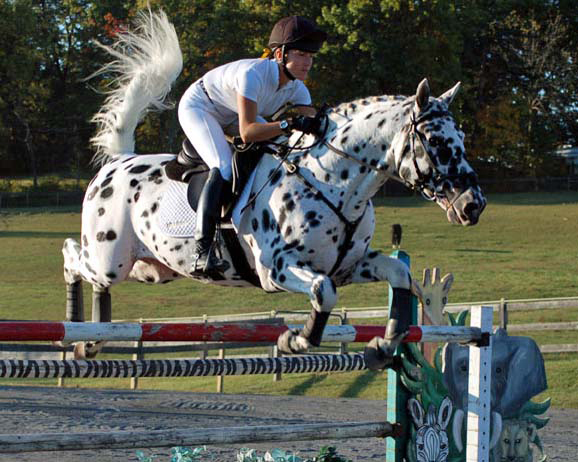 Other crosses include Trakehner, other European warmbloods, modern Percherons and Thoroughbreds. These crosses are carefully selected to bring desired qualities and hybrid vigor into the breed. The Stonewall Sporthorse tends to be a little bigger than average, with eye-catching movement and a tremendous capacity to work. 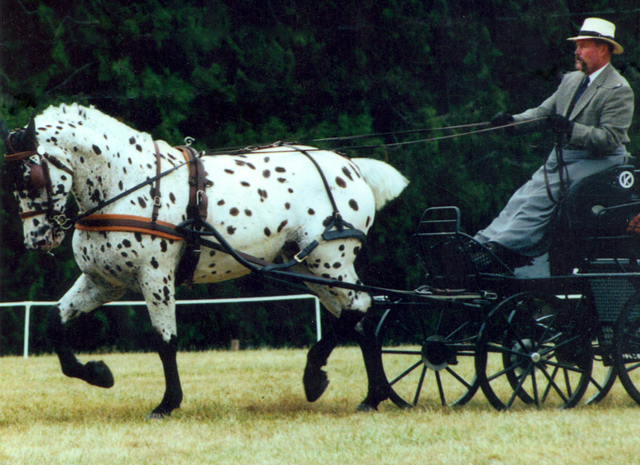 Three Stonewall Sporthorse mares, the sisters Stonewall Blanche, Stonewall Stella and Stonewall Scarlett pulled wheelchair accessible horsedrawn carriages more than three thousand miles across the entire North American continent in 2001. Stonewall Stella accomplished this feat after a two year recovery and rehabilitation from a catastrophic foaling accident that left her quadriplegic. In the eyes of several veterinarians she had no chance to survive, much less recover and complete such a grueling task. 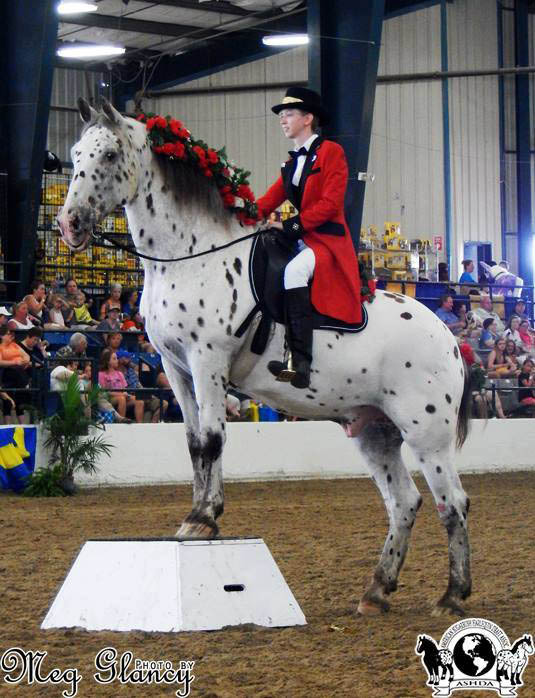 Her remarkable accomplishment illustrates the courage and stamina of the Stonewall Sporthorse breed. The origin of the Stonewall Studbook began with a focus on show horses in the 1960’s. The emphasis turned to racing in the 70’s and 80’s, although many horses that left the track then began show horse careers. Over time, the toll of MS took Michael Muir out of the saddle and turned his focus to carriage driving and the world of draft horses and warmbloods. 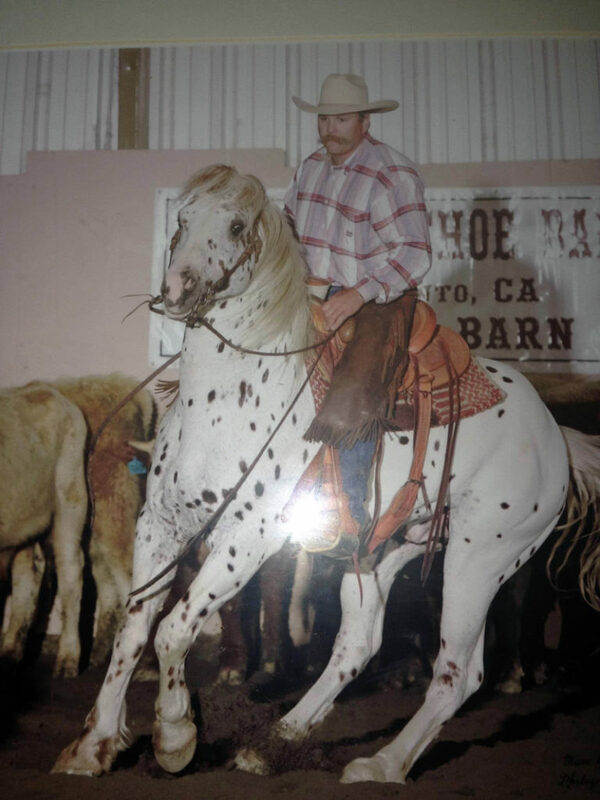 Michael is the Founder of the Stonewall Studbook and the originally developer and breeder of the horses that came to be known as Stonewall Sporthorses. The breed was named for Stonewall Stud where they were originally bred.